Community foundations take time to build. The Foundation is well on its way with its endowed funds and known planned gifts. However, it needs operating support until such time as its capital base can fully support its modest administrative costs. 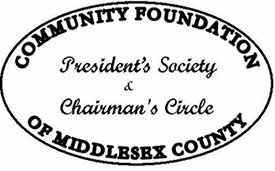 In 2006, a committed group of Community Foundation supporters initiated a giving circle fund known as the President’s Society to support general operations. These generous donors make contributions of $1,000 or more annually to Operations in support of the work of the Community Foundation. The Chairman’s Circle was established with annual gifts to operations of $2,500 or more annually. In a difficult economy this support has allowed the Community Foundation to increase its much needed financial support to local nonprofits. Since 1997, the Community Foundation has awarded 905 grants totaling more than $2.8 million through December 31, 2012. 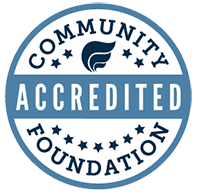 Working with generous donors throughout the community has resulted in more than 140 Funds established at the Community Foundation. That investment in the community provides opportunities for our neighbors of all ages to explore their artistic imaginations; preserve our local history for generations to come; discover the splendors of our natural areas; and provide people in need with warm, healthy meals and safe havens, and so much more. While statistics and numbers are important, the Community Foundation’s assistance for the nonprofits goes beyond the grant. Thanks in part to the generous commitment of the President’s Society and the Chairman’s Circle, our energized staff continues to partner with funders, businesses and others on specific projects, thereby leveraging its support. The staff continues to host numerous workshops and presentations designed to help the county’s nonprofit organizations as they continue to deal with these challenging economic times. To everyone who has supported Operations, Thank You. Your support has been hugely appreciated, and in a very real sense, has made the Community Foundation what it is today. Become a member of President’s Society with a gift of $1,000 or more to Operations. Become a member of Chairman’s Circle with a gift of $2,500 or more to Operations.